Char Cloth in an Altoids Tin – A Survival Fire Starter Anyone Can Make! Starting a fire in a survival situation is not essential to your well being, but it plays a vital role in making your survival easier. Fire gives warmth, allows you to cook, purifies water and can be used as a weapon if necessary. It also improves morale, which can be as much as a survival weapon as anything a person in a survival situation can do themselves. That makes your ability to start a fire extremely important to your well-being and Char Cloth is one of the best fire starters you can have on your person in that situation. 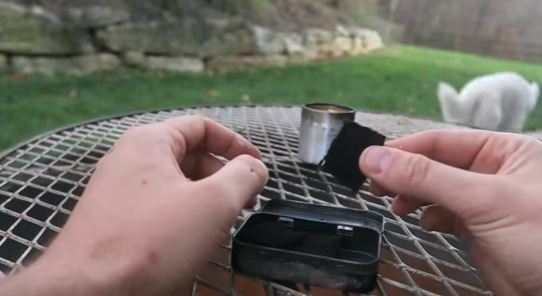 By making your own, in an Altoids tin, you can ensure that you have a quick, easy and virtually fail-safe fire starter when you need it and the video on the next page shows you how.